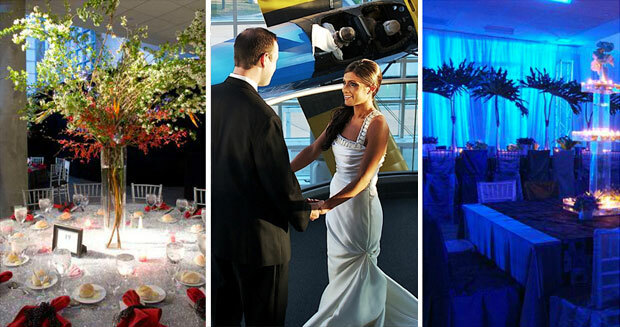 Celebrate your one-of-a-kind day at a historic one-of-a-kind venue where grand, actual aircraft hangars and impressive flight displays create a dramatic backdrop. 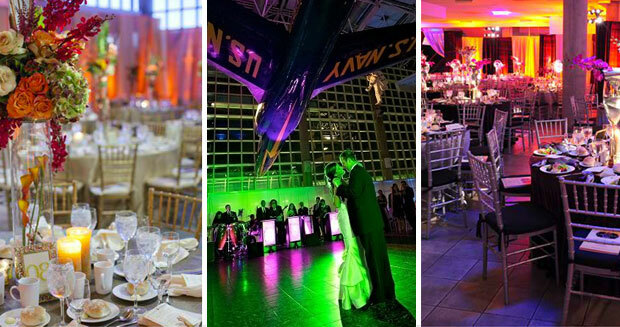 Your guests can meander through historic and futuristic galleries and enjoy awe-inspiring aerodynamic sights while they sip libations and sample savory fare. Continue your celebration in the majestic atrium where dining and dancing takes place under a four-story high glass ceiling adorned with authentic aircraft suspended majestically in mid-air. 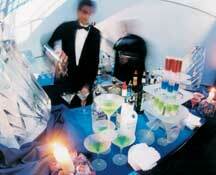 Whether you are planning an intimate gathering, or lavish reception we will coordinate every detail. Contact us today and let's start planning your fabulous wedding!